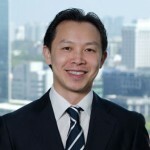 Vincent Low is Director, Product Marketing, for the Media Business Unit (BU), in Asia Pacific and Japan. At Akamai, Vincent is responsible for providing strategic direction for product marketing for the Media BU, with a focus on gaming, digital media market strategy and new business development. Before joining Akamai, Vincent led the strategy and business development for Samsung’s Media Solution Center in Southeast Asia & Oceania and oversaw strategic partnerships with content and application service providers, new business development, and corporate development. He has been in gaming and digital media business for over 15 years and has held positions at Viacom International Media Networks as Head of Product Development/Technology and Business Development in the digital media division at Viacom International Media Networks. At Viacom, he was responsible for managing the digital media business, which included development of web and mobile interactive business services, content and IP licensing for digital services/gaming, digital advertising operations, and business strategy/ development and operation across Asia. Vincent also spent time in S. Korea working at venture-backed companies in the online and mobile gaming where he led global business development and publishing/distribution. Bachelor of Science in Electrical Engineering, emphasis in Computers and Communications.